Download this file containing Road Traffic Signs. 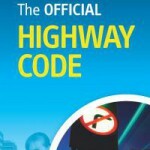 And you need to get a Highway Code (you should be able to get this at any decent stationers or supermarket). If not you can order it here.